Hotel guests aren’t just paying for a room, they’re paying for an experience. It’s a truth that Julian MacQueen, Founder and Chairman of hotel management and development company Innisfree Hotels, takes seriously. That’s why Innisfree uses social media to surprise and delight guests at every opportunity, across its dozens of properties throughout the U.S.
From marketing to customer care, Innisfree turns to social media to gain an edge and differentiate itself from competitors. And Sprout Social acts as the organization’s always-on social concierge. Over the course of eight months using Sprout, Innisfree’s properties have experienced a 13.4% increase in total followers across Facebook, Twitter, Instagram and LinkedIn, helping drive more than 58 million impressions, 604,000 engagements and 147,000 link clicks. Alyssa Townsend was familiar with Sprout Social before she became the Director of Social Media at Innisfree Hotels. When she joined Innisfree’s in-house marketing agency, Bee Loud, it was using another social media management platform. However, the team quickly outgrew it. I love it because it really gives insight into which posts are performing well, and beyond that, why different posts might be performing well. Sprout’s tagging features immediately caught Townsend’s eye. Sprout users are able to tag outgoing social posts for easy categorizing and tracking, helping brands measure how different types of posts perform with target audiences. Tagging also comes in handy for the organization’s user-generated content strategy. Through Sprout’s tagging features, Townsend can compare how UGC performs versus the content produced in house. She can also rely on Sprout Queue and ViralPost to quickly line up multiple posts for different social profiles and have them published automatically throughout the day, as well as ensure they’re posted at the optimal time to maximize audience engagement. And with so much content to create, Sprout’s collaboration and workflow tools are essential. Sprout is just very intuitive. And when you’re scheduling 100 to 125 posts a week, having Sprout to not only help schedule content but also know when the most optimal time to publish is, depending on the page or platform? It’s a game changer. Through Sprout’s social monitoring tools, Townsend and her team are able to discover new opportunities online to proactively engage guests. Sprout’s Brand Keywords feature enables organizations to monitor social for words and phrases directly associated with their brands, such as product or service names and geographic locations. Social monitoring is even more effective when it provides Innisfree a chance to wow customers with a meaningful gesture. There are all these things that need to happen on a daily basis to keep things running smoothly—or ‘keep the hotel open,’ as we call it. The other day, our CMO was saying, ‘We’ve never really been able to do that until now,’ and I think Sprout has been a huge asset in accomplishing that. 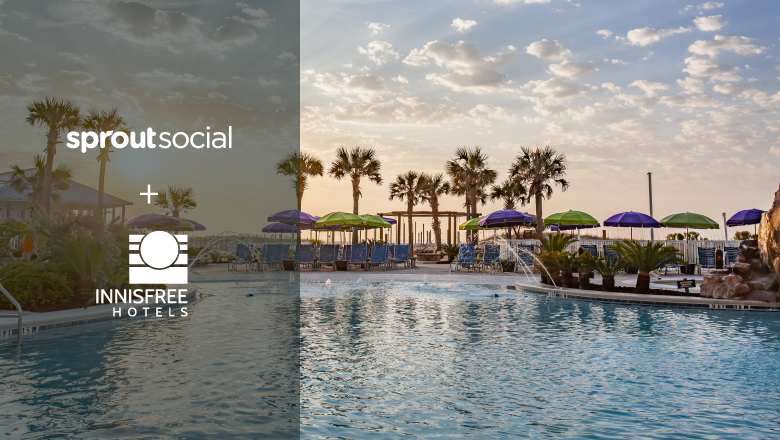 For Innisfree Hotels, going the extra mile on social is well worth the effort. If smiling guests and glowing reviews aren’t enough, the organization’s social growth is a prime indicator. 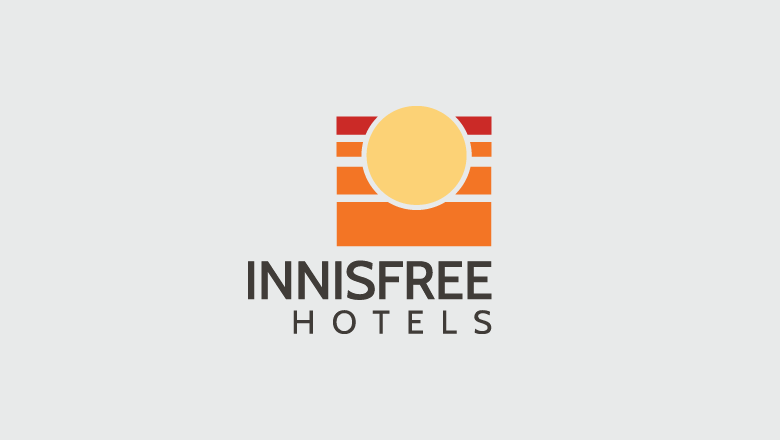 For more than three decades, Innisfree Hotels has provided outstanding guest experiences, whether by partnering with some of the world’s most recognized hotel brands or at its own independent hotels and restaurants. The organization is committed to replicating its offline success online using Sprout Social.